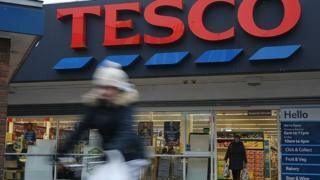 Tesco has stopped the sale of 5p plastic carrier bags in a trial at three of its stores. For the next 10 weeks, shoppers who do not bring their own bags to the shops in Aberdeen, Dundee and Norwich will have to buy a "bag for life" costing either 8p or 10p. It is part of a trial to further cut the number of bags in circulation. If successful, the withdrawal of 5p bags could be rolled out by Tesco in its stores across the UK. A Tesco spokesman said: "We are carrying out a short trial in a few stores to look at the impact on bag usage if we remove single-use carrier bags. "In these stores customers who need a bag can still buy a bag for life which they can reuse." Online customers will still be able to buy 5p bags, but Tesco said 57% per cent of them already opt for bag-less deliveries.